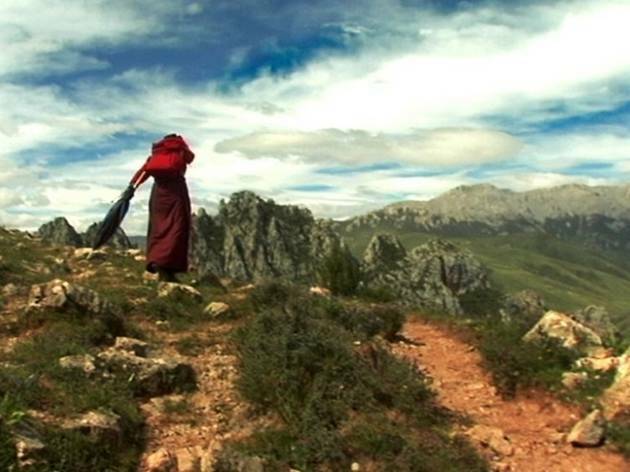 In chronicling the lives of Tibetan Buddhist nuns, Pearlman faces some big challenges. She has to convey some context about Tibetan culture, where women are perceived as inherently inferior to men and most people toil in abject poverty. She has to get across some basic information about the tenets of Buddhism. And, perhaps most challenging, she has to break through the reticence of the nuns themselves and get them to talk in an interesting way about their lives. Pearlman chooses to do this without any voiceover narration or interviews with experts, preferring to let the nuns speak for themselves. That she gets mixed results is not exactly shocking. It’s rather surprising how much she does accomplish. Pearlman stresses the horrendous life the women are fleeing in choosing a religious calling; Tibet has one of the highest childbirth-mortality rates in the world, and women do back-breaking labor while garnering no respect. As one nun simply puts it, “Women have to suffer much more.” She takes this as a fundamental truth about life. 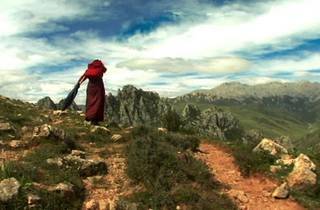 What’s missing is the kind of immersion in the women’s spirituality that made Into Great Silence such a compelling doc about the religious calling. It’s clear that these nuns think deeply about life, but deeper insights remain tantalizingly out of reach.